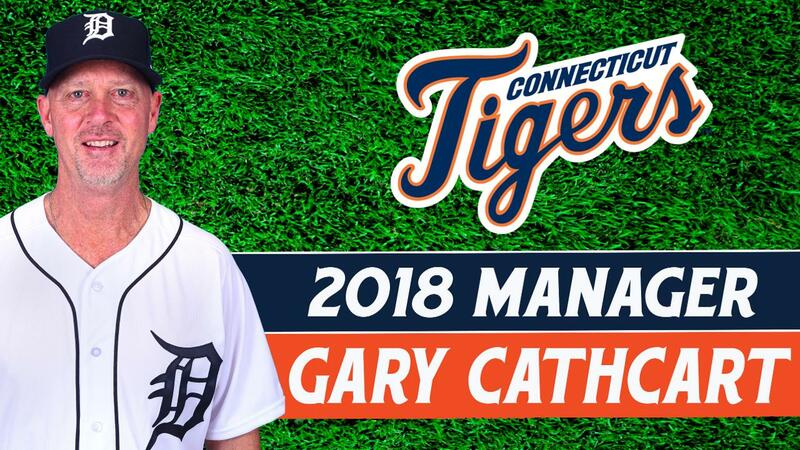 NORWICH, Ct. - The Connecticut Tigers, in conjunction with the Detroit Tigers, announce an updated coaching staff for the 2018 season with Gary Cathcart taking over as Field Manager. Cathcart is in his first season with the Tigers organization after spending the last two seasons as the Miami Marlins Field Coordinator. He last managed in the New York-Penn League from 2011 to 2015 with the Auburn Doubledays (Washington Nationals affiliate) where he led the Doubledays to two straight Pinckney Division titles in 2011 and 2012. Prior to joining the Nationals, he spent seven seasons as a Hitting Coach and Manager in the Toronto Blue Jays organization, serving two seasons as Manager of the Double-A New Hampshire Fisher Cats (2008-2009), one season with the Class A Lansing Lugnuts (2007), and one season with Class A Pulaski Blue Jays (2004). Cathcart was selected by the New York Yankees in the 33rd round of the 1984 MLB Amateur Draft and played four seasons in the Yankees Minor League system, advancing as far as Triple-A. Joining the Connecticut Tigers staff with Cathcart is Hitting Coach Bill Springman. After spending the 2017 season as Hitting Coach of the Uni-Lions in the Chinese Professional Baseball League. Springman returns to the states for his first season in the Tigers organization. He spent the 2015 season as an Advisor to Player Development and Senior Hitting Advisor for the Kansas City Royals. Springman previously spent 14 seasons in the Minnesota Twins organization serving in various coaching capacities. Originally drafted by the California Angels in the 7th round of the 1978 MLB Amateur Draft, Springman played infielder during three seasons in the Angels Minor League system. Carlos Bohorquez will serve as Pitching Coach in Norwich during the 2018 season. Carlos is in his ninth season with the Tigers organization. Bohorquez previously served as Pitching Coach for the Gulf Coast League Tigers and Venezuelan Summer League Tigers. Originally signed by the Cincinnati Reds as a non-drafted free agent in 1999, he spent three seasons as a third baseman before converting to pitcher and spent six more seasons in the organization. The coaching staff includes three more first-time Connecticut Tigers with Athletic Trainer Sean McFarland, Strength & Conditioning Coach Marcos Sierra, and Video Coordinator Nolan Dill joining the club. Connecticut Tigers Opening Night is set for Friday, June 15 at Dodd Stadium in Norwich with first pitch against the Lowell Spinners at 7:05 p.m. Tune in to the Courtyard Marriott Connecticut Tigers Radio Network for all 76 games of the 2018 Tigers season on WICH 1310 AM across Connecticut or listen online at CTTigers.com via TuneIn Radio. The Connecticut Tigers are the New York-Penn League affiliate of the Detroit Tigers at Dodd Stadium in Norwich, Connecticut. 2018 individual game tickets, season memberships for "The Club," ticket mini plans, and team merchandise are now on sale. The front office and box office are open on weekdays from 9 a.m. to 5 p.m. via walk-up visit or by calling 860-887-7962.